ColorMax is a giant-flowered viola that is heat tolerant and fills pots easily, even under heat stress where standard violas suffer. ColorMax is a superb autumn performer and a great choice to start the season. 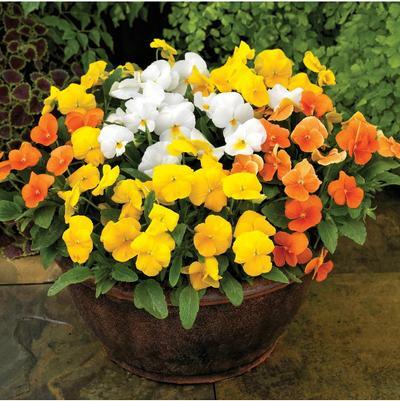 This alternative to pansies comes in a number of eye-catching and unique colors that are extremely versatile—perfect for pots, packs, baskets and mixed containers. Larger flowers than standard and very free flowering—more color per square foot!